Vivarin is a caffeine supplement made by MEDA Consumer Healthcare. 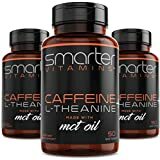 Each tablet simply contains 200 mg of caffeine anhydrous and fillers. 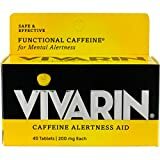 It is advertised as having as much caffeine as a cup of coffee, but in reality the caffeine in Vivarin is higher than that of a cup of coffee. Consumers should use Vivarin only as directed and not exceed two tablets in a 24 hour period. Consumers should also consider caffeine from all other sources. 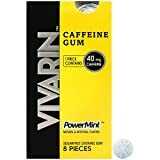 Vivarin isn't recommended for children, pregnant or nursing women, or those sensitive to caffeine.